But I digress... per a friend's expert suggestion, I watched the director's cut of "Pink Floyd: Live at Pompeii" on Friday night. I was snuggled up in bed, watching it on Youtube, via my phone, propped up with a pillow - the height of cinematic perfection, I know. About 20 minutes in, there I laid crying. Like a baby. "Oh no. Have I been thinking too much about my generations' growing non-communication or my personal knack at failure again? Nah, I'm probably just hungry and exhausted." As the last scene of the film faded out, I wiped the tears from my face, slammed my little eyes shut, and went to sleep. Waking the next morning with puffy eyes yet fully rested, I got a bowl of cereal and cup of coffee. "Maybe last night was a fluke. Maybe I can watch it again without my emotions getting the best of me." So less than 8 hours after my first viewing, I watched it again "Pink Floyd: Live at Pompeii" - the whole thing - in the light of day. Nope. Cried again. Like an even bigger baby. Quite honestly, Pink Floyd was new to me. I grew up on a steady diet of MoTown, Bach Suites, piano concertos, and bouquets of classic CCM. (Amy Grant, Steve Green, and the like.) My parents were and still are the furthest things from festival-attending Floydians you'll ever meet. Perhaps I should consider ego and attire in my pursuit of transcendence? 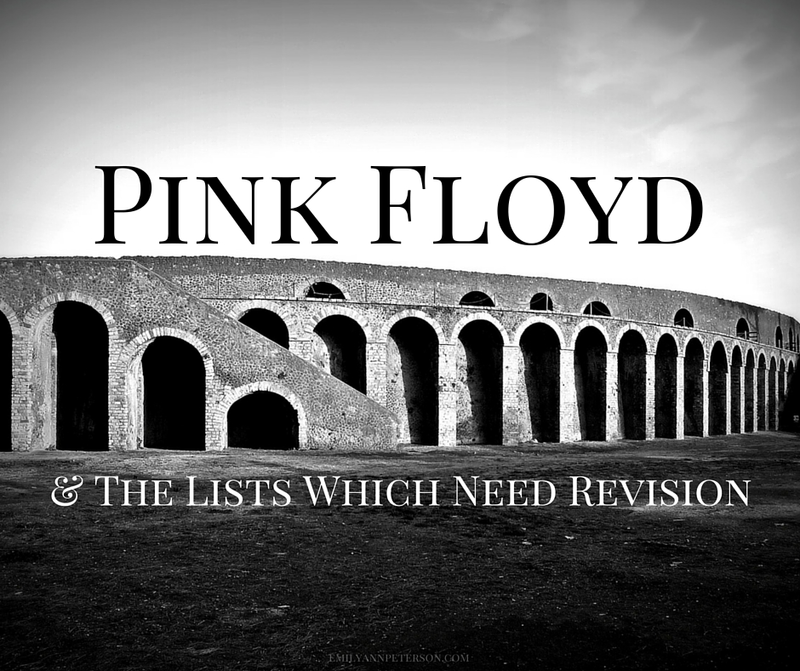 All I know is that particular list is being revised due to the immense amount of clairvoyance I experienced from Pink Floyd within this film. So I've made revisions to lists of Things That Make Me Cry and Movies To Re-Watch ASAP and have also added a few items to my list of Documentaries to Watch and Christmas Wish List.